Displayed below is an index of the available properties in Ocean City for sale in the Marina Community of Heron Harbour. Click on the property photo or the address for each individual Heron Harbour Marina Community property and get full details, satellite map of the location and all listed amenities. 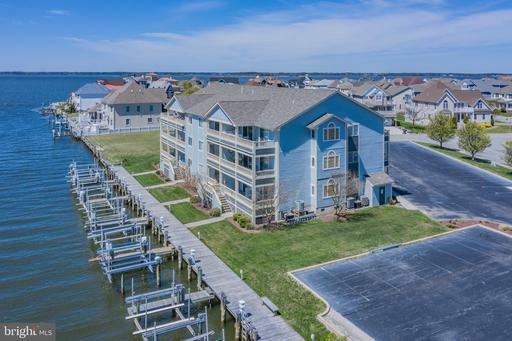 For a more detailed & refined search of all Ocean City Maryland Real Estate Properties consider using the detailed search page located here: "Detailed Ocean City Maryland Real Estate Properties search." BRING ALL OFFERS!!! SELLER'S WANTS IT SOLD!! 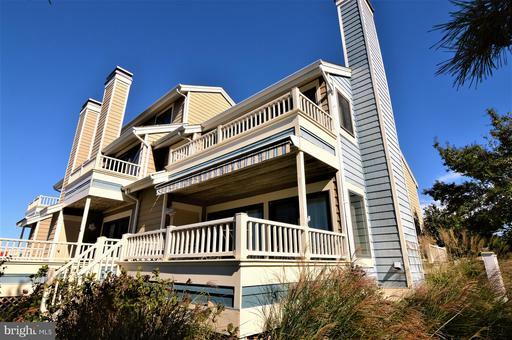 Beautiful waterfront 5BR/4.5 BA home in Heron Harbour with deeded boat slip #82 is being sold fully furnished for your immediate enjoyment. As you walk into the home you see the fabulous beach decor hardwood floor and open floor plan. This is the perfect floor plan for large families or for entertaining guests. The large dining area is off the kitchen and is perfect for enjoying dinner with family and friends. The large great room extends to the deck where you will enjoy endless sunsets. On the lower level there is a separate bedroom, den and full bath that could be used as an in-law suite if needed. The house also has a two car garage, a fire sprinkler system and 3 zone heating and air conditioning, the range and the microwave have recently been replaced. Some of the upgrades include hardwood floors, chef's kitchen with Silestone countertops, upgraded cabinets, pantry and wet bar. 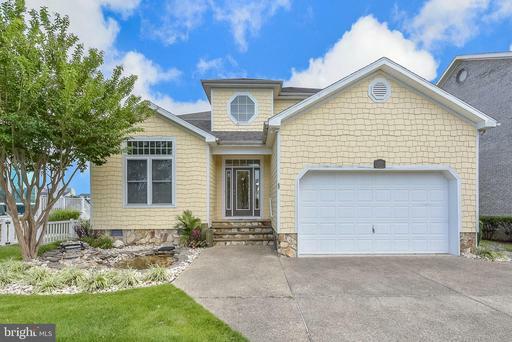 This home is in the amenity rich community of Heron Harbor. Community amenities include an indoor pool, 3 outdoor pools, fitness center, library and social room, and two clay tennis courts. 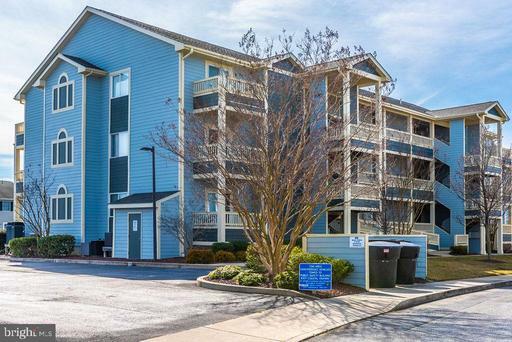 Spacious waterfront 3bed/2bath condo with tons of green space and sunny southern exposure. Perfect for enjoyment of family, friends and pets. 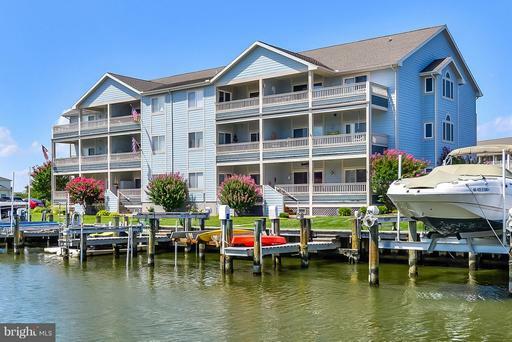 First floor offers direct access to deeded boat slip with electric and water. Plus corner location provides 2 private balconies and extra windows. Master Suite has balcony access, walk-in closet and ensuite with double sink and soak-in tub. Professionally decorated by Bethany Resort furnishings, condo is in perfect condition and ready to move in. Meticulously maintained. Ground floor ramp access. Wonderful Heron Harbour community with quiet streets, 3 outdoor pools, year round indoor pool, tennis, exercise and saunas. Offered at $450,000! This beautiful condo is 3BR/2BA in the Baywatch III Building overlooks the water in the fabulous community of Heron Harbour Isle and comes with boat slip #82 with 8,000 lb lift. This unit is being sold furnished, has a lovely beach d~cor and is turnkey. It was never rented and is in pristine condition. There is a large dining area off the kitchen with breakfast bar. The kitchen has upgraded appliances and granite countertops sure to delight the chef in your family. The living area has a gas fireplace for year around enjoyment, great family time and entertaining with friends. You will love the master bedroom overlooking the water with the nice master bath, and your family and friends will enjoy the other two bedrooms. There are upgrades throughout including a new HVAC, hardwood and tile floors. There is also a large deck off the living area that overlooks the canal with magnificent sunset views. The boat slip has an 8,000 lb lift and there is a kayak launch with easy access to the water. 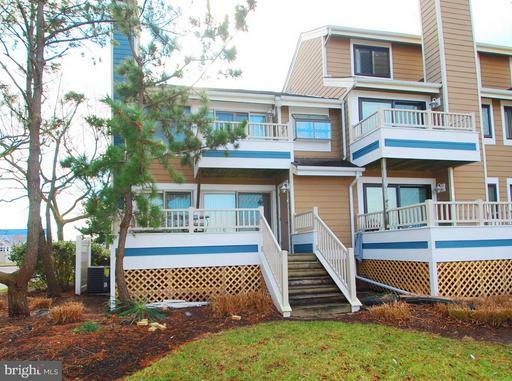 Imagine yourself in this beautiful condo in one of the nicest communities in Ocean City. Heron Harbour Isle is amenity rich with two outdoor pools, an indoor pool, a kiddie pool, fitness center, social room, sauna, locker room, two Har-Tru tennis courts, sidewalks and piers. Enjoy your boat, fishing, crabbing, kayaking and paddle boarding all directly out your back door, and make memories that will last a lifetime. New HVAC 2017, & newer appliances. You'll love this bright and spacious second floor condo over looking a canal with expansive water views. This immaculate, 3 bedroom 2 bath condo has never been rented and shows great pride of ownership and is located in the much desired quiet north end community of Heron Harbor. This condo offers a spacious and open floor plan with1047 square feet of living space, incredible water views, deeded boat slip #83, waterfront master en suite with access to the private balcony, granite kitchen counter tops, custom built-in buffet topped with granite and additional cabinetry in the spacious dining area, kitchen breakfast bar seats 4, hardwood floors in the bedrooms, ceramic tile throughout the remaining portions of the unit. This condo is offered fully furnished with newly purchased high quality dining set, master bedroom and guest room furniture. Community amenities are: Community dock, two outdoor pools, indoor pool, kiddie pool, tennis courts, fitness center, locker room, sauna, gathering room. Condo fees are $370 per month and paid quarterly. Condo association is very well managed. Don't miss out! Schedule your showing today.